Vineyard news: Vendange is virtually all finished in the Cotes du Rhone. Chateauneuf-du-Pape farmers have concluded with their final vineyards being picked this week. 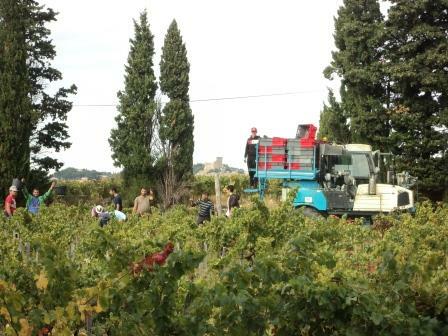 And harvest has finally come to La Lionne. 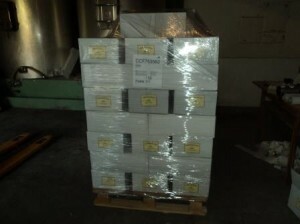 The team from Domaine St. Prefert was out yesterday to pick…..essentially getting finally it all done in one day. Wine news: The new, 2013 Ombre du Chateau has arrived, along with the 2013 Cotes du Rhone red, in the warehouse in the U.S.. These join the 2014 Cotes du Rhone rose’ and the 2012 Chateauneuf-du-Pape red for sale through the website.